Looking north from Saltley station with a unidentified ex-MR 0-6-0 2F locomotive on the right and an unidentified ex-MR 0-6-4T locomotive on the left. The 0-6-4T is standing on the same line as the rake of coaching stock which appears to have a locomotive coupled at the far end. 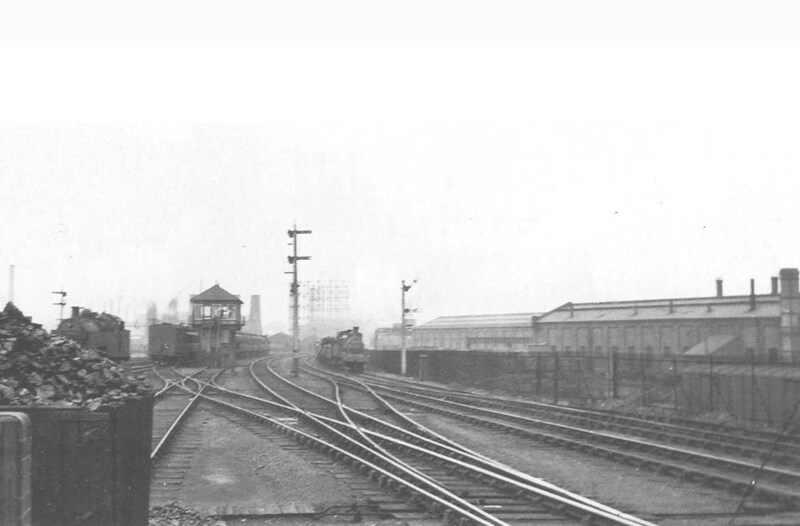 Saltley Signal box is in the centre of the photograph whilst the coal bunker is well stocked.